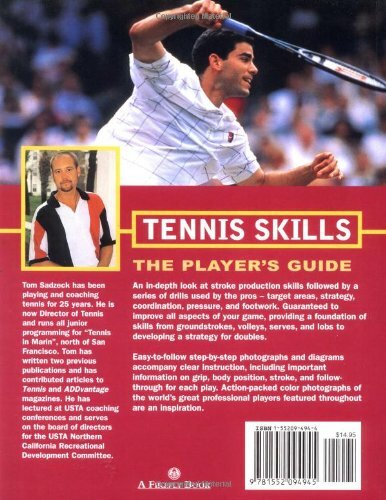 Like having a personal tennis pro on call for expert coaching. 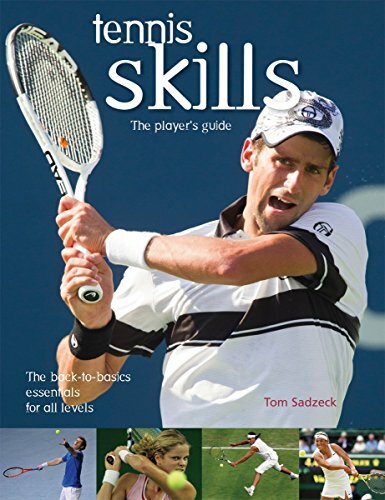 Tennis Skills is an in-depth guide to improving a player's game. 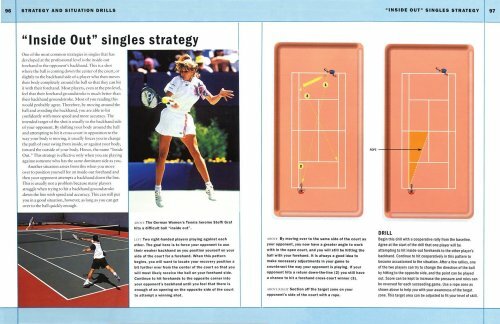 It features a battery of lessons designed by tennis pros that lays down a solid foundation of stroke skills and game strategy. Clear instructions and annotated diagrams provide valuable coaching and corrective techniques -- most valuable for any player. How to handle game pressure. 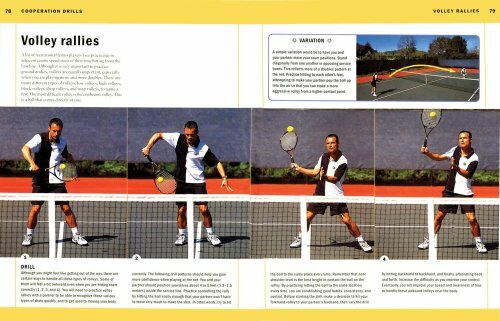 The book also features easy-to-follow sequential photographs, Master Stroke sidebars that give easy-to remember tips, Fault Finder boxes that point out common mistakes and Coach's comments that share the wisdom of seasoned pros.